ProFirst is a certification granted to shops that meet all of Honda’s strict training, tools, equipment, and customer response requirements. ProFirst Collision Repair Facilities like Classic Auto Body, carry the knowledge and ability to restore your vehicle to its pre-accident condition, with a priority on maintaining safety and performance. All Classic Auto Body repairs and paint are 100% Guaranteed for the life of your vehicle. 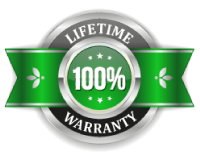 We back our work with Lifetime Warranties to reinforce the confidence we have in restoring your vehicle to its prior capability without compromising the safety of you and your passengers. Factory grade repairs that restore your vehicle to its pre-accident condition. Maintaining the safety and performance of your Honda or Acura through the prioritization of OEM parts. Prioritizing genuine OEM parts is critical in our ability to fully restore vehicles to their factory standards. Let us repair your vehicle with the parts designed specifically for your Honda or Acura. Computerized color matching that guarantees a 100% factory match, no matter the make or model of your vehicle. Honda and Acura repairs are very specific to their individual brand. Unqualified repairs to these vehicles can lead to future pain in either poor protection or when you’re trying to sell/trade-in. Get your vehicle restored by manufacturer certified professionals that can retain re-sale value, while ensuring safety and performance. Anytime I have gone to get work done on my daughters car or my own car, I have been treated with such kindness and respect. They are professional and do excellent work. And Honestly, they treat you like you are part of their family! I would recommend everyone to take their cars to Classic Auto Body they are truly the best in the business! Got into my first accident and wasn’t sure if my car would ever be the same, but Hector and his group did an amazing job fixing up my tsx. Not only did they keep me in the loop regarding updates on my car, but they also worked extremely well with the insurance company. Classic went above and beyond with their due diligence and the results speak for themselves. Amazing work done by a great group of people! Classic Auto Body is one of the best around from front desk to employees, everything they do is amazing and they take care of everything from insurance claim to having a rental ready for u when u drop off ur car. Not many like these guys left in this world keep up the great work guys. Classic Auto Body has been a proud member of Paterson, NJ since 1994. Founded on the business principles of customer satisfaction, transparent service, and quality repairs, we strive to maintain the highest standards in the auto repair industry. Honda and Acura trust us to repair their vehicles as they intended. You can too.